Differential settlement of a foundation occurs for several reasons. Common reasons are the shrinkage of clay soils during periods of drought, soil erosion due to improper drainage or fill material not being compacted properly. At Stratum Structural Systems, we’ve seen it all. Our team can repair your settling foundation using a number of various methods. Helical piers, Pipe piers, Resistance piers, Piles, Helical Anchors – all terms you may hear from various foundation repair contractors when you’re doing your research. It may become confusing keeping it all straight. No need to stress, Stratum can diagnose and simplify the problems so that you’ll comfortably understand what your best options are and then put a plan in place to repair your home and set your mind at ease. Foundation piering, or underpinning, is a process in which steel piers are installed through the shifting soil and into an area of load-bearing stratum (a layer of rock or suitable bearing soils). A foundation bracket is then installed at the top of the pier and to the underside of the existing footing of the structure. The structures weight is then transferred to the base of the pier, which is permanently supported by the load-bearing stratum. As a seasoned foundation repair contractor, Stratum Structural Systems can explain the seemingly complicated foundation work we’re performing to set your mind at ease. Invite us to your home. You’ll notice the difference! These are the steps of foundation piering. Excavate small sections of the exterior or remove small sections of basement slab to expose footing. Notch a section of footing and prep underside to allow proper access for the pier support bracket. Hydraulically install steel piers to bedrock or a load bearing stratum. Install the pier support bracket and transfer weight of structure to pier. Backfill and compact excavated areas, repour necessary concrete. 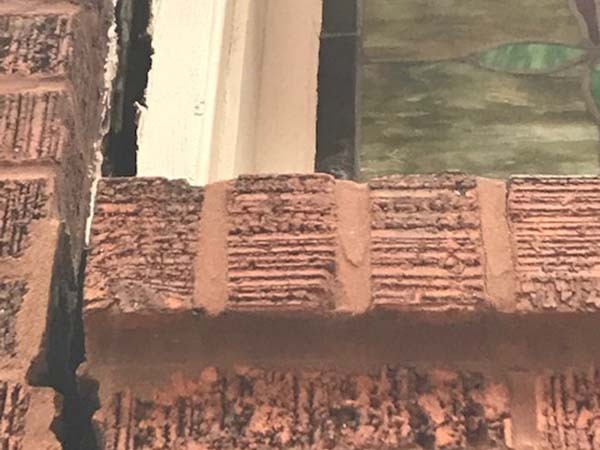 Stratum Structural Systems provides honest, affordable foundation repair to homeowners in St. Louis and the surrounding areas. If you’re seeing signs of foundation settlement, call us today at (314) 620-8153 or contact us online to schedule a home inspection and free quote.